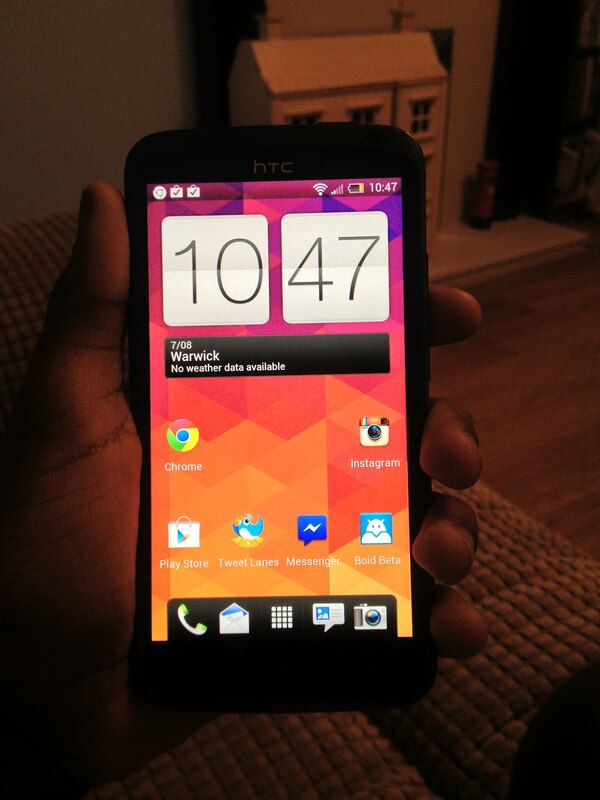 HTC One launch event liveblog: catch up on all the news now! HTC is due to show off its latest creation today, and there’s not much about the One (formerly known as M7) that we don’t already know. It looks like a hybrid mutation of a BlackBerry Z10, iPhone 5 and Sony Xperia P, and HTC’s maligned Sense skin seems more reminiscent of Windows Phone with its latest iteration. Hell, we even know that HTC’s going crazy with the button placements on the new phone, but that doesn’t mean that the Taiwanese firm won’t have a few surprises up its sleeves, so we will be liveblogging the launch proceedings via an interesting new platform (Google Docs) and myself (if I get home in time), Rowan and possibly Neil will be bringing you all the news as it happens. Will HTC’s latest be the One to make you feel that way? Join us in a few minutes to find out! 15:04 Looks like the event is about to start soon! There appears to be a very WP8-esque animation on the stage projection. 15:06 This phone has been leaked like crazy. 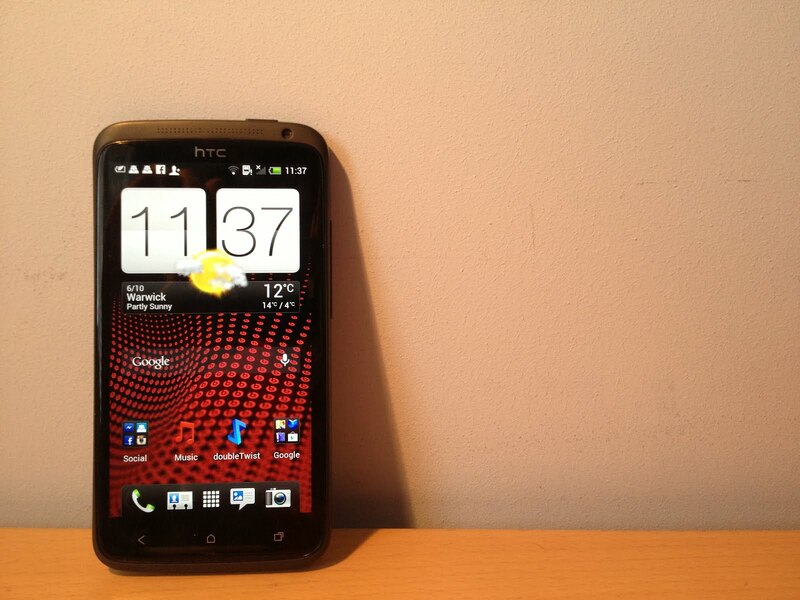 It looks a bit like a cross between the iPhone 5, the Z10 and the Droid DNA. The highlight has to have been a slightly (read: very) drunk Peter Chou shouting HTC ONE! repeatedly to a crowd of HTC employees a bit like Ballmer. 15:09 The music is ramping up. Very electronic-y. 15:14 Is this thing on? Hey world. 15:15 Unlike The Verge, our liveblog isn’t sponsored by BlackBerry. Prepare for total impartiality/terrible jokes/analysis. 15:17 The London event is causing tremendous delays. We should be under way shortly. 15:17: Apparently, there are a lot of unofficial hands-ons going on while people are waiting. It looks like a lot of HTC employees already have their Ones. 15:18: And Jason MacKenzie is on stage in New York! 15:21 HTC jumping straight into things. Here is a picture of the familiar guy. 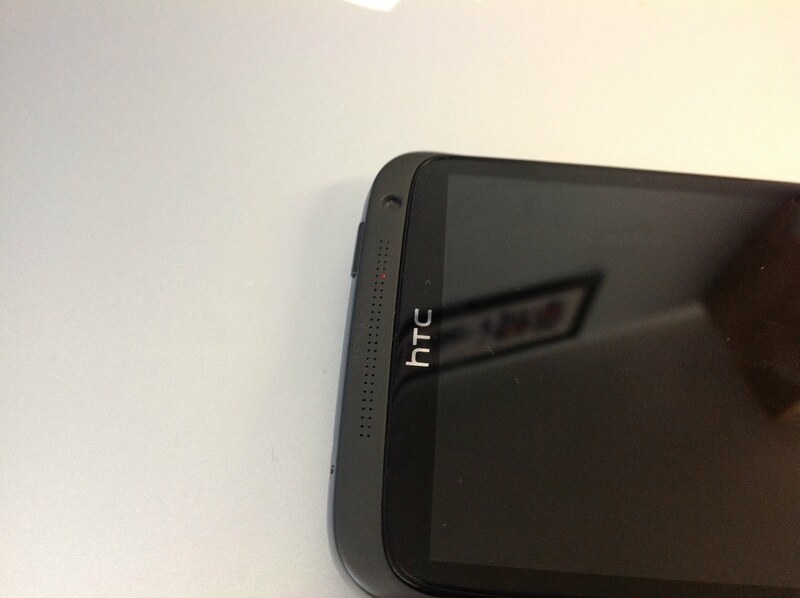 15:22 Dual stereo speakers and dual capacitive buttons with the odd placement that HTC seems to wish to pioneer. 15:23 New “Blink Feed” feature, replacing apps and widgets with information that is important to you. Partnering up with a lot of people apparently. 15:24 BlinkFeed seems to be built-in Flipboard. It’s even a bit like Flipboard’s tablet app with its tiled UI. 15:25 HTC has 1,400 content partners. Wow. 15:26 The Verge just broke their embargo. Dual speakers on the front are known as “BoomSound”. Oh dear, HTC. 15:26 Ed Erhart from ESPN is on stage talking about how sports fans love their content on their phones etc. 15:26 The London event is finally beginning. 15:27 The processor is a quad-core 1.7GHz Snapdragon 600, and the camera is the rumoured 4.3MP UltraPixel thing that works somehow. Also Sense 5. 15:27: A clearer image from Engadget! They describe the phone as very thin, and very well made. 15:28 It appears to be a good UI for people who love new content in their faces. If you can avoid it being bloated by Facebook and Twitter, I think I’d adapt to it. 15:30 Also, it’s a 4.7” 1080p display at 468ppi. If you like pixels, this phone is for you. 15:32 People at the event are saying the screen is incredibly bright. We believe it is Super LCD 3. 15:32 Also the BOOMSOUND is LOUD. LOUDER THAN BOOM. 15:33 HTC’s new music player pulls in lyrics from the internet (think Shazam’s LiveLyrics) and it has 2 microphones to record better audio. 15:34 It also has an IR blaster, if anyone cares. Also 802.11ac. 15:35 It will be on all UK networks (duh) and Sprint, T-Mobile and AT&T. 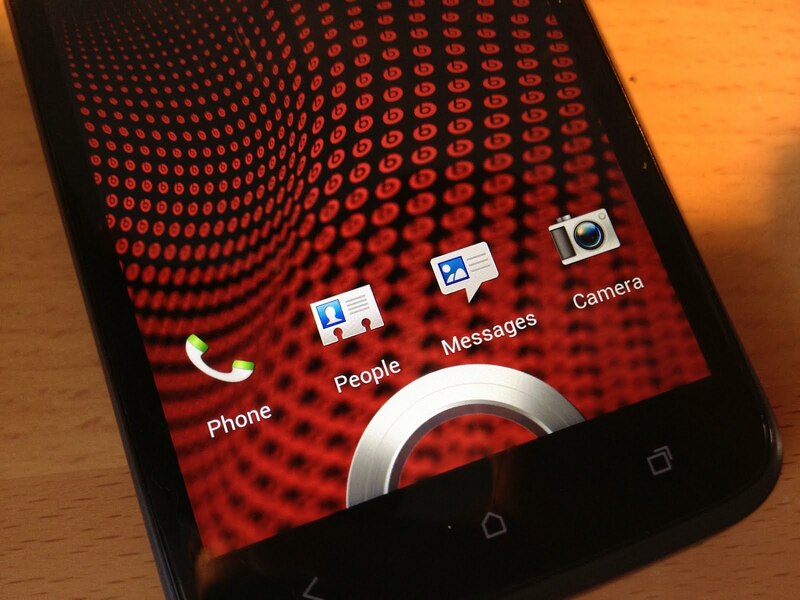 Verizon will probably get DROID plastered all over it with dumb bloatware. 15:36 2GB RAM, 32GB storage (with 64GB SKU in some regions), GLONASS, Bluetooth 4.0 and…………..2300mAh battery. Don’t forget GLONASS. 15:37 Apparently good low light too – could this be a PureView killer? 15:39 There’s also a camera feature called HTC Zoe. Zoes are short video clips (think Vines). 15:40 It will be interesting to see how well this stacks up with the Galaxy S4 that is rumored for March 14th. Of course we will be liveblogging that too. And the PlayStation thing tomorrow. 15:41 Your Zoes can have Instagram-esque filters! The world is saved! 15:42 Here are a few quotes from the Engadget hands-on. Apparently it takes 200 minutes to machine just one shell. 15:46 IT HAS CHAMFERED EDGES. 15:46 It also has Optical Image Stabilization, Nokia style. 15:47 The One will ship worldwide in late March. No RIM-style same-day launch magic here. 😦 Also no Verizon. So yay, no home button logos. 15:47 “HTC is launching a new trade in program where customers that preorder can turn in their current phone to get up to $100 off of a One.” I could actually do this – but I love my Nexus. 15:48 And, as with last year’s 8X event, HTC’s done in an hour. Thanks for joining us! Remember to give us feedback on this new liveblogging style we’re trying. 15:49 Be sure to join us at 4 PM GMT for the Ubuntu event! Also, join us at [placeholder o’clock] tomorrow as we meet the future of PlayStation! When HTC unveiled the One family at MWC earlier this year, the simplified line-up was meant to represent a new beginning for the Taiwanese firm. One range of phones for the entire world was supposed to be the result of a shift of focus from quantity to quality, and overall they impressed us. When we reviewed the One X back in August, we concluded that it was a stunning phone and confidently pointed towards a bright future for HTC. Sense aside, HTC could be in a position to become market leaders. But then things changed. Surrendering to the wills of various carrier partners, mostly in the United States, HTC’s production lines began to churn out even more devices. Since that impressive MWC launch in February, no fewer than 10 Android devices have been launched by the company in various parts of the world, many of which did not bear the One family name. The most recent of these – and the company’s new European Android flagship – is the One X+ which, at first glance, looks no different to the original One X. How does it fare against its latest rivals, and, with new devices just around the corner at CES and MWC after the turn of the new year, is it worth your money? Read on to find out. September’s been a pretty crazy month of announcements, and now HTC are trying to impress us with their showing in New York. New Windows Phone 8 devices are expected, although an updated One X is also rumoured. Whatever happens, we’ll bring you the latest news here! After declining sales and being criticised for releasing too many handsets into the market, the new One series from HTC represents a much needed refresh of their strategy. What once used to be a floundering attempt to satisfy the demands of the many carriers has been diluted to this, a trio of phones to carry them headfirst into 2012. The One X, however, is even more than that. This sits on the top of the tree as a superphone with specs that raise the bar for future Android devices to come. 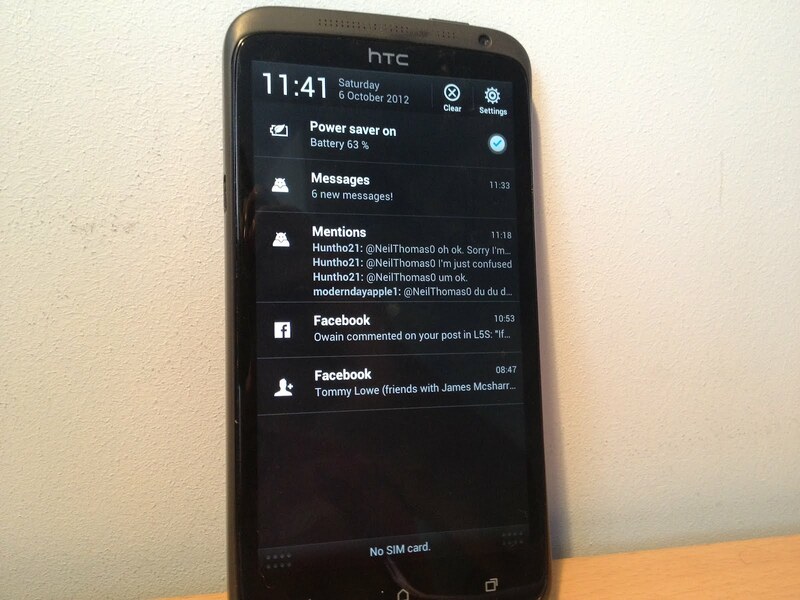 It also debuts with HTC’s refresh of their Sense skin, layered on top of Android 4.0.3, fresh from Mountain View. Alas, we must ask the question – is it really as good as it seems? Read on to find out. To say that this phone is good looking is an understatement. The phone is genuinely beautiful and is a breath of fresh air compared to the dull black slabs that most companies are churning out these days. The amount of detail and care put into this design definitely shows in the product. The glass covering the screen curves over the sides, blending in with the sleek polycarbonate body. The One X is made of a similar material to Nokia’s Lumia 800 and 900, albeit a little less textured. It is 8.9mm thick, which, while chunky for a flagship phone on paper, certainly doesn’t feel it. The phone feels comfortable in the hand despite its 4.7″ display, and is in reality not much larger than most 4.3″ devices such as its baby brother, the wafer-thin One S. The bezel is minimal, and you really feel like you are actually touching the content on the screen thanks to the laminated panel. The only slight annoyance I have is that I do struggle to reach the top left and bottom left hand corners without adjusting my grip on the phone. It has a curved profile reminiscent of the Galaxy Nexus, with the top and bottom gently tapering upwards. It is worth noting that the camera lens protrudes just enough to give the speakers a megaphone effect when placed on a table. The sides are fairly minimal, with the left holding an MHL (MicroUSB/HD Video out) port and a volume rocker on the right, which is conveniently placed where your thumb grips it during normal usage. It has a nice amount of travel and you can use it while it is in your pocket. On the top there is a power button, 3.5mm headphone jack and a microSIM tray. On the bottom there is one of the two microphones (the other being just next to the headphone jack) and three capacitive buttons which cause some concern that I shall get into later. A notable omission is a camera button – a little strange considering that the camera is HTC’s major advertising point with the phone. However, the care and attention to detail that HTC employed when designing this product is apparent is the notification LED. While it is not RGB, it is integrated into the drilled holes for the earpiece, which was a very interesting idea, and it works. The LED is completely invisible when not in use, and bright enough to be visible in any light when notifying you. As a whole, the design of the phone immediately strikes you as HTC. It seems like they have perfected their design language, with none of the failings of the myriad of phones that came before, although it isn’t without fault. The black international model which I acquired picked up grease really easily, and as of the time of writing I have not been able to remove it. I would recommend picking up a case if you are considering this phone, despite what HTC says. Another thing that I have noticed is that the micro-holes for the earpiece, while aesthetically pleasing, could easily pick up dust, blocking it up. As for internals, it is safe to say that this is one of the most powerful phones on the market. The international One X has a quad-core Nvidia Tegra 3 clocked at 1.5GHz which is no slouch at all. It also has a gigabyte of RAM, which is par for the flagship course. These big numbers certainly show up in the benchmark scores below. Despite Nvidia’s graphical prowess, gaming performance does not live up to expectations. I have a feeling that it has something to do with the lack of RAM, or maybe the fact that that the processor is driving 921,600 pixels, but the effect is noticable. Games do seem to settle down after maybe 5 minutes of gameplay, but it is still unnerving. Another thing that I noted was that the area in between the camera and volume rocker can get really hot, but the heat was isolated to just that place, most likely due to the positioning of the processor. Speaking of the processor, the presence Tegra processor inside allows access to the Tegra Zone suite of games. These are games that are ‘optimised’ for the Tegra processor with better graphics and more effects, and you really can tell the difference. There are two major omissions when it comes to the One X in terms of hardware, namely being the lack of expandable storage and removable battery, but having a replaceable back would weaken the structural integrity of the phone, so we can give HTC a pass there. The 1280 x 720 SuperLCD 2 display on this phone may be the best display I have ever seen on a phone, with vibrant colours and sharp text. With a pixel density of 312 pixels per inch, the panel is not quite as dense as the 342ppi displays found in HTC’s own Rezound and Sony’s Xperia S, but it is well into the area of over 300ppi referred to by Apple as ‘Retina territory’, meanng that individual pixels cannot be distinguished by the human eye. It also lacks the PenTile subpixel arrangement infamously found on many other flagship phones such as Samsung’s Galaxy S III and Nexus, thus ensuring a higher-quality display free of jagged edges and fuzz. One of the reasons that phone manufacturers give in favour of using AMOLED in their phones is that it is thinner than LCD and allows for slimmer profiles, but HTC’s SLCD2 has shown that LCD technology is catching up, although it still remains more power-hungry than AMOLED panels. 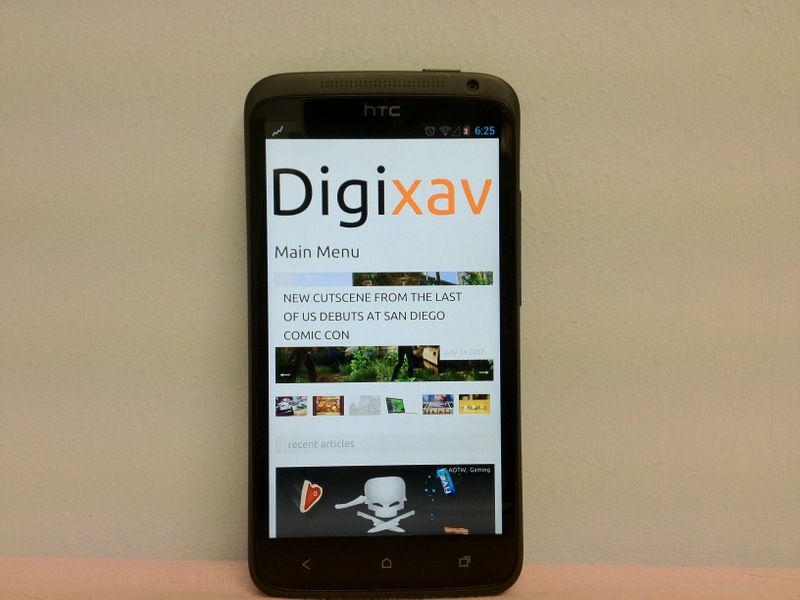 The One X comes with Android 4.0, the (second) latest operating system from Google, but the presence of HTC Sense 4 is the most intriguing software tweak. Sense has been criticized a lot in the past for its superfluous animations, flamboyant graphics, and purely idiotic design concepts made for a subpar user experience. Users have yearned for a toned down or stock Android experience, with less of the idiotism of days past. 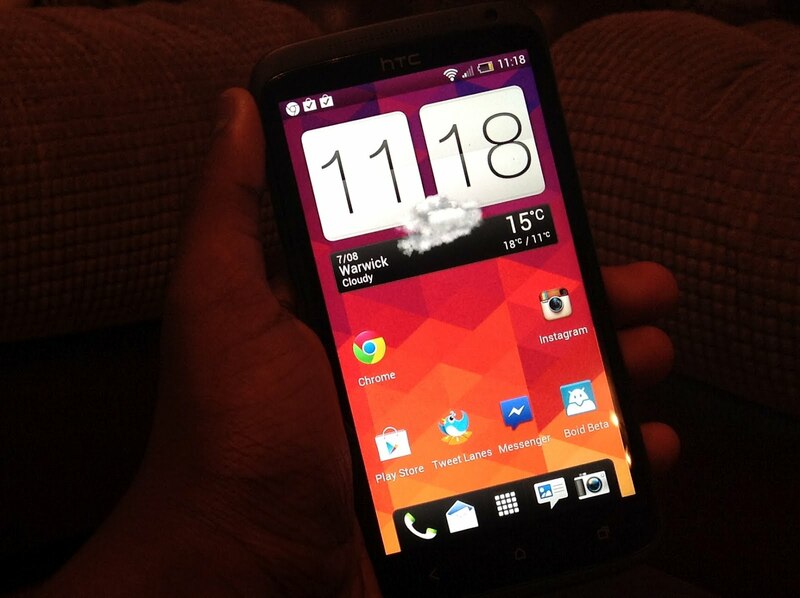 HTC says they took this into consideration when designing Sense 4, but did they do enough? Short answer, sort of. Sense has definitely been toned down. The over the top weather animations have gone. The person who made the stupid decision of having a permanent ‘personalize’ button on the dock has been fired. It’s just generally been cleaned up, but it isn’t enough. The icons look like they were designed by a 4 year old, being full of white accents and just looking dated. The recent apps list is a waste of space, with the switcher taking up the entire screen, and is also more challenging to use than the stock multitasking menu. The notion that lockscreen shortcuts can only be the icons you have in your dock is just plain stupid, because I don’t need a camera in my dock, but I certainly do on my lockscreen. The widgets look like they were designed in the 90s, with stupid gradients that make me want to throw the phone in a river. The keyboard has arrow buttons, which are completely useless and render the keyboard almost impossible to type on. Finally, I said in the hardware section that the capacitive buttons had a problem. Sticking to the Android 4.0 guidelines, there is no menu button but this means that legacy apps need to display an annoying black bar underneath any app that isn’t optimized for ICS. I would have much preferred software buttons or a menu button instead of a multitasking key, similar to the setup on the Samsung Galaxy S III. I will admit that Sense does have its perks, 25GB of free Dropbox space being one, but the performance of the phone is what matters, and Sense simply won’t do. I promptly refused to use Sense and flashed a build of Android 4.1 Jelly Bean onto it. This seemed to speed things up a lot, but please note that this does void your warranty. The camera on this phone is the second best phone camera I have used after that of the iPhone 4S. The 8MP rear shooter takes bright and vivid photos with little to no blurring and an instant shutter. 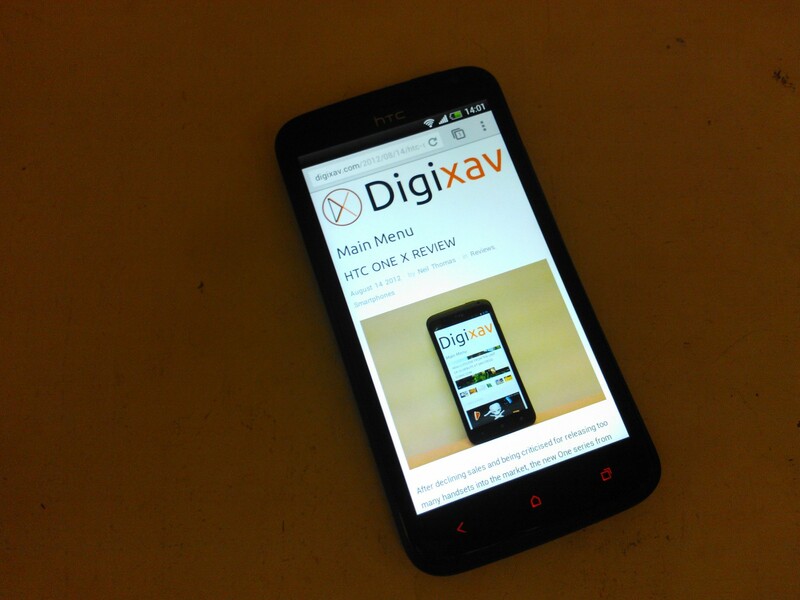 This is because of what HTC calls ImageSense. What this means is that there is an extra chip inside the phone just for processing images and video. This and a dual shutter mean that the One X can take pictures and video at the same time. It also gifts the One X with astoundingly fast picture taking to the point where the phone actually sounds like a machine gun when in burst mode. The camera software on this phone is second to none. 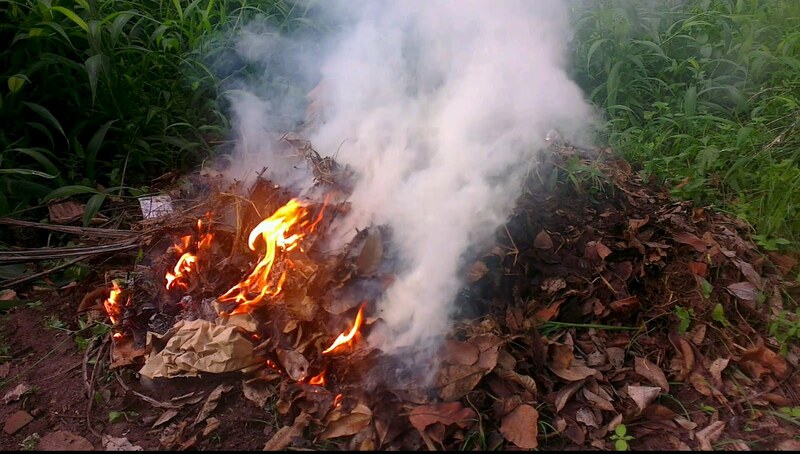 It lets you take awesome pictures, is well thought out, and gives you a nice range of effects to choose from. Low light pictures weren’t great, so you’ll need to use a flash, and sometimes photos get blurred really easily. You can view a gallery of pictures here. The battery life of this phone ties into the software section. With Sense, the battery is rubbish. An hour of YouTube and 15 minutes of Dead Trigger brought me down to 50%. That might not seem that bad, but with Sense taken off and replaced by a CyanogenMod ROM I could do the same thing and only lose 20%. The cellular radio is simply average. I got signal where most other phones get signal, however I did note that the WiFi usually displayed 1 bar lower than on other devices. I don’t know if this has something to do with the way that signal is displayed or an actual discrepancy in the WiFi, but it’s there nonetheless. All things considered, the One X is a solid flagship. It is the epitome of what HTC has learned from a year of failed designs, however the phone faces some stiff opposition from Samsung’s Galaxy S III. As for which one to buy, my answer would be whichever suits you best. If you need expandable storage and a removable battery and can live with the Pentile AMOLED display, then the Galaxy S III may be your best option, but if you desire design then go with the One X. You can’t go wrong with either.